Upon reviewing the testimonials on your website, I was most impressed by the endorsement of Carolyn McGarvey, Director of Schools, BASIS Tucson; she says it all! It is exactly what has happened for my daughter who is a junior. Not only that, but she scored a perfect 2400 on her SAT exam! With education, preparation, tons of practice and a bit of providence, one can achieve great things! Thank you for your program, Micah! We are very fortunate to have you in our community. We are most appreciative of the outstanding educational value that Double800 provided to our two children during their high school years. The program's leadership is first-class and we are grateful for their keen attention to our children's success. Following on their achievements on the PSAT and SAT, our son attended Northwestern University and subsequently Oxford University, England, as a Marshall Scholar, and our daughter was a National Merit Scholarship Finalist and attends the University of Arizona as a Flinn Scholar. We credit Double800 for having played a most important role in their paths to academic success. I just want to thank DOUBLE800 for helping my daughter and her friends become National Merit Scholars. She found the course to be extremely helpful, not only in gaining comprehensive knowledge of specific subject areas, but also in learning valuable tips on how to be a strong test taker. My daughter thought every minute of the class was relevant, and she walked into the PSAT and SAT full of confidence. A $600 investment has turned into $160,000 scholarship offers from several schools. We are so pleased with these results and definitely recommend DOUBLE800! ​For many years, we had heard wonderful things about Double800 from the administrators at BASIS, as well as fantastic reviews directly from parents we know well who had older students who had benefited greatly from Double800’s programs for both the PSAT and SAT. But it's one thing to hear and trust those recommendations and another to have direct experience with Double800 like we did via our middle son. He’s a bright and hardworking kid but who, like many 15-year-olds, sometimes needs a push :) Double800 was that positive push (and more,) providing him both the framework and instruction that would lead to significant success on both the PSAT and SAT. By way of background, our son grew up overseas, attending elementary and a significant portion of middle school attending local public schools where English was not the medium of instruction. While English was his first language, he is not a strong or enthusiastic English language reader. As a result, we had concerns about his potential performance on both the PSAT and SAT; concerns that were confirmed through practice tests and the results of his performance on the actual PSAT, taken for practice, as a 9th grader. That’s when we turned to Double800. Beyond the results, what surprised us the most was how much our son actually came to enjoy and value the Double800 program. He quickly came to his own conclusion that the Double800 instructors were terrific, supportive and helpful. He saw immediate value in the Double800 approach and methodology as he learned how to quickly identify and attack different types of questions; also learning valuable time management skills for the exams. Finally, he begrudgingly admitted that by being in the Double800 program, he thought that he was far better prepared (both in terms of time on task and quality of invested effort) than he would have been preparing for the PSAT and SAT on his own. At the risk of sounding pedantic, this was key. As both a mom and pediatrician, I know what it’s like to get teenagers to do something because they have do, versus wanting to or at least embracing it with a positive attitude. While no one can (or should) get happy or excited about investing the time to prepare for these exams, Double800 found the way with our son - and with the countless other students we know personally - to make the process far more painless and far more enjoyable than it normally is. Ultimately though, it's about the results: In 9th grade our son’s PSAT score was a respectable 1350. But after Double800, his qualifying 11th grade PSAT score was a 1490 (out of 1520); his math and writing sub-scores were perfect. That score translated into a National Merit Statistical Index Score of 222 — which will likely qualify him as a National Merit Semi-Finalist for our state which automatically unlocks substantial scholarship dollars at universities and colleges around the country that more then offset Double800’s reasonable rates. At our flagship state school alone, his score will result in a nearly $50,000 full academic scholarship. Fast forward a month, our son continued to prepare for the SAT for the first time with Double800’s support. He scored a 1550 (out of 1600); 790 math and 760 verbal. While clearly a really good score, our son felt that based on all of the work he had done as part of the Double800 program, that it would make sense to take the test again since he felt he could do even better. This was entirely his decision — something that shocked us — something that we credit exclusively to the positive experiences he had working with Double800. We continue to hear so many similar Double800 success stories from parents and friends who have leveraged Double800 on behalf of their kids. Our own direct experience with Double800 tells us that we were incredibly fortunate to be able to have had our son sign up for the program. We believe in Double800 so much that we will be automatically signing up our youngest child in a few years. Suffice it to say, we could not recommend Micah and Double800 more highly, unconditionally and without reservation, to any parent and student who wants to to move the needle on their PSAT and SAT performance. Double800’s reputation is well deserved and earned. The secret to success on the SAT's isn't a secret at all. Just register for the Double 800 prep course, learn the concepts for each subject, and complete and review the official practice tests. The class provides a practical, tools-based approach that takes the fear out of "the big test", and replaces that fear with actual skills, techniques and confidence that boost SAT test scores. My oldest daughter vastly improved her scores after participating in the Double 800 program, where she received honest-to-goodness personalized attention. As a result, she was accepted into her dream school, a very competitive top college. My youngest daughter will also be attending the Double 800 course later this year, and I'm recommending it to everyone I know who is beginning to think about the college admissions process. Double 800's record of helping kids boost their scores speaks for itself, but if you still have questions, give Micah a call. He's accessible, knowledgeable, and he's thrilled to help. Dear Micah, Just wanted to inform you that our daughter Ria took the SAT test on Oct 9 and she got a score of 2310 (Math-770, CR-740, Writing-800)! Thank you for teaching her some great test-taking strategies! She certainly benefited from attending your class and you have my highest endorsement. My son's scores improved from the 180s on the PSAT to 2220 on the SAT after he took the Double 800 course. He feels that through the explanation and review of the test sections and questions, the program took the mystery out of the test and made it into something that could be broken down and attacked. 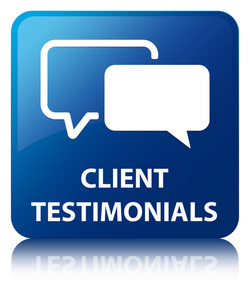 Micah was very helpful to both of us, and my son benefited from his intelligence and his calm, easy teaching style. With the SAT scores he achieved after taking this class, my son was able to gain acceptance to Vanderbilt University, where he now attends. I am writing to express our deepest thanks for the enormous impact you had on our son. Don, was an “A” student throughout high school, but did not fare especially well on standardized tests, thus our decision to enroll him in your class at the Tucson JCC. To make a long story short, his scores increased by some 25% at the conclusion of your class. We were so impressed by these results that we enrolled him in a second class at Double 800. His scores increased by another 10%. Our son applied to 20 schools and was accepted by 19 of these, including Yale (where he currently attends), Stanford, Dartmouth, Brown, Duke, Rice and numerous others. He—and we—attribute this in large measure to the tools and test-taking strategies he learned in your world-class program. So impressed are we by your program that we recently enrolled our daughter, a high school junior, in her first (of what will be several) Double 800 programs. To paraphrase our son, you are an “awesome” teacher, incredibly “kind and patient,” with an “amazing ability make the intangible tangible.” Speaking for myself, I have been incredibly impressed by your world-class customer service and communication. Any parent of a college-bound child would be remiss in not enrolling them in your program. My wife and I view your program as the greatest academic gift we have given our son. I recommend your program in the strongest possible terms and without reservation. I took the Double800 course right before my PSAT, and I couldn't be happier with that result. Because of the course, I reached a perfect score of 240, up 31 points from my sophomore year score! I took the SAT I the next month and was very pleased with that, too. I scored 2260 overall: 790 in math, 780 in critical reading, and 690 in writing. The best part of the class for me was the structured approach that went section by section, with many practice problems. The course gave me the means and incentive to practice all parts of the test, which I found was the secret to improving my scores. I don't know what the SAT inventors were thinking when they claimed students couldn't study for their little "reasoning test." Double800 was a really smart choice. And now, because of my scores, I have many great scholarship opportunities. I took the Double 800 class in Tucson this past fall, just before the PSAT. I scored a perfect 240 on the test, which I would accredit to the strategies I learned from your course. Thank you so much -- I'm very grateful for your program! I found the Double800 course extremely helpful because it taught me how to pay attention to small details in the test, and how to read questions more thoroughly. The class improved my SAT writing abilities immensely, including the Essay. I don't think I could have scored a 2400 without the program, and I would highly recommend Double800 to other students. Hi Micah! We wanted to thank you so much for all your help in preparation for the new SAT. One of us got a 1570 and the other got a 1590; I'm sure you can guess who got higher (hint: it wasn't me). We also both got straight eights across the board on our essays. We will be sure to recommend all the underclassmen we know to you! Hi Micah, I received my PSAT scores today! I scored 1470 composite, with a 740 on math and a 730 on reading and writing (selection index: 220). Hopefully, this will qualify me for National Merit in Arizona! Update: I just wanted to let you know that I'm a National Merit Semifinalist! Without your help, I'm sure that I wouldn't have achieved this honor. Thank you so much! Hey there, Micah! I am writing to inform you that I scored 2330 on the December 2015 SAT (800 M 800 CR 730W) and a 2340 superscore. I really want to thank you for your classes because they helped me to achieve my goal! Many thanks again! Hey Micah! It was nice to see you at the College Fair. Sorry it took me so long to get back to you, but here are my SAT scores from the March test: Math: 800; Critical Reading: 700; Writing: 770 (perfect 80 score on multiple choice). I was also a National Merit Scholarship winner. Thanks for all the help! I scored a 2250 on the SAT and a great deal of credit goes to the Double-800 Class. I would say that I improved the most in the writing section due to the class. On the SAT, I received a perfect 800 on the Writing Section. Micah helped significantly in the writing multiple choice sections and especially the essay - on which I scored the maximum 12, thanks to him! I strongly recommend taking this class both for PSAT and SAT preparation. I also improved my score on the PSAT from 198 to 221, which qualified me as a National Merit Semi-finalist. I urge all people who are thinking about taking the class not to hesitate in making the decision. Even though I was initially skeptical, thinking a prep class would probably not help me much, Double-800 turned out to be extremely influential in getting both the 2250 and the 221. Christopher, my husband and I wanted to thank you for your Prep Course. Christopher received a 2100 on the SAT and just found out today he received a 222 on his Junior year PSAT. We are all very pleased and are thankful for the Course. Thank you! Double 800 provided a well-structured, but relaxed learning environment that helped me comprehensively review for the SAT and PSAT. The course has an ideal balance of strong, useful review of content and constant practice to apply learned lessons. The instructor, Micah, was very well-versed in the subject matter and had a fantastic understanding of the tests, content, scoring, and nuances. Altogether, my efforts with Double 800 helped me score 226 and 2200 on my PSAT and SAT! Great course! My daughter, Anuja, attended your classes in Phoenix in Fall 2013. She appeared for SAT and PSAT in Oct and Nov. this year. She received 2200 in SAT and received 217 in PSAT. Anuja, Ashwini (her mom) and I want to thank for your guidance and tutoring. It really helped her to achieve these scores. Hey Micah, Just wanted to thank you once again for the SAT class and update you. I took the PSAT on October 17th and we got our scores back, and I got a 214. I also took the SAT on November 3rd, and got a 2140 on that. My breakdown was 720 reading, 710 math, and 710 writing. Without the class, there is no way I would have been able to do so well. Thank you!! Hi Micah, I just wanted to thank you very much for your time and effort in the SAT class; it was well worth my time. I got a 2270 on the test! Thanks again. After hearing excellent reviews about the Double800 program, I enrolled my son who had never been a strong standardized test-taker. When he received his scores (720 Writing, Essay 11, 710 Reading. 680 Math) we were thrilled! This was honestly the best $600 I have ever spent; an investment that will pay dividends for years to come. Because of Double800, I felt confident when I walked into the test room, and I felt just as good when I walked out. The course taught me techniques that definitely boosted my SAT and PSAT scores (2270 and 223) and qualified me as a National Merit Scholarship Finalist. The Double800 course was very helpful as Micah gave me great tips on how to approach the test. My PSAT score improved to 216 (perfect 80 on Critical Reading), and I received a composite SAT score of 2100. Hi, Micah! I scored a 2260 on the November SAT and my math score increased from a 610 to a 760. I really appreciate all your help! Hi, I just received my scores from the October SAT: 1340 overall, with a 650 verbal and a 690 math. (89% and 92%). I received a 650 on the essay portion, equivalent to 90%. I wanted to get above a 1300 because I knew that was the average score for entrance into the U of A Honors College. The double800 class really gave me a lot more confidence about the test. Thank you for a great experience. This class was definitely one of my better educational experiences. With the help of the program I learned the "tricks" of the test and I was very pleased with my 2140. If you're considering a formal SAT prep class, this is the one! I just wanted to thank you so much for the course that I attended just before the October SAT. I felt it really helped me. I received a 2220 on my SAT reasoning test, a 760 in the Critical Reading, a 700 in the math, and a 760 in the writing. These scores are vast improvements, up 90, 100, and 90 points respectively. Again, thank you so much. The Double800 SAT course was very helpful and gave me loads of confidence going into the test. The College Board practice tests we took during the class were just like my real test. I'm very happy with my 2030 and am done with the SATs forever! I was really nervous about the new writing section, but your class really helped. In fact, after learning the rules and taking practice tests, writing became my best section (I scored a 720) on the test. Thanks for everything. The helpful tricks in reading, such as with the Sentence Completions, along with the all the Writing lessons were very helpful. Also, the Math lessons improved my ability greatly in this section. Overall, this course was a very useful SAT preparation. The instructor really knew his subjects well. I enjoyed doing math like never before. The course was well organized and the instructor was always available for supplemental tutoring. I would definitely recommend this course to others. The vocabulary list was extremely useful. The vocabulary review, along with the math instruction helped me a lot. I learned many tips and practical techniques that I think will be extremely helpful on the test. Thanks to DOUBLE800, my son's PSAT improved from a 204 to 231! This score gives him a great shot for a National Merit Scholarship. We are very grateful for your program and strongly recommend the class!! We are extremely pleased with the results of my son's PSAT. With the assistance of double 800, he scored a 226 and he is already being heavily recruited by colleges. I have told all my friends about the program and wish you continued success. Even though I have always been in advanced math courses in school, my score on the SAT was very low compared to my verbal. I enrolled with Double800, and the program really helped review concepts and develop test taking skills. I was so delighted to find out that I actually scored an 800 in math my second time taking the SATs. I would greatly recommend this course to anyone looking to improve their scores. I didn't know how much this class would help since I already had a 1410, but with Double800 I went up to a 1550 which is a lot better! Now my college and scholarship opportunities are so much better. Take this class! This instruction was well worth the cost! My daughter's score on the PSAT improved by 29 points, from a 199 to 228, which easily qualified her as a National Merit Scholar.The test taking strategies were immensely helpful and I will use Double800 for my other kids for sure! After taking the Double 800 class, my SAT score went from 1190 to 1320. That's 130 points! I would recommend it to everyone because the instructor is always willing to help in any possible way and goes at the pace that the students need him to go at. I thought it was a great class! Thanks to your excellent course, my daughter's SAT scores went up 210 points, from a 1280 to a 1490. As she learned new test-taking strategies, her confidence increased. She stopped making "dumb mistakes" and began to look forward to the challenge of the test -- instead of dreading it! I would recommend your services to anyone. Your SAT workshop was just what I needed. My math scores jumped 160 points and my verbal 70! The 1440 will give me a great shot at merit scholarships as well as honor's college membership. I've told all my friends about your program and anyone who doesn't sign up is missing out. Keep up the awesome teaching! Double 800 was recommended to me by our college guidance counselor and she knew what she was talking about. The classes were very helpful and funny enough to always keep my interest. I had never sat through a class of 2.5 hours but it seemed to fly by. I was so happy when I got my 1210, I can now get into U of Miami. Our family is extremely grateful for your work with Scott! We expected his Subject Test Writing score to improve but 210 points (580-790) was beyond our wildest expectations! We feel your service was an excellent investment (not just to raise Scott’s score – but to teach him something and you did that very well). I regret I wasn’t home to tell you this in person but I want you to know how very much we appreciate what you did with our son. Our very best wishes. Double 800 is by far the best tutoring service we have ever used. Jennifer could not concentrate with large classroom teaching but everyone loved the friendly environment of the mini sessions at the JCC; her scores reflected this fact with a 170 total point improvement. I would highly recommend this program to any parent considering SAT prep for their child and it’s an excellent value compared to Princeton Review, as well. Double800 rocks! My SAT teacher was smart and cool all at once. My parents and I agree on something finally and I got more than the 1040 I needed to get into Arizona. Go Cats! I am so very grateful for the specialized attention given Lucia. She has always been a competent and diligent student but I felt she would be benefit from private tutoring to show her the special techniques of the SAT. DOUBLE800 improved her scores 160 points and was well worth the tuition. I wish you continued success with your business. Thank you very much for everything. I really enjoyed our meetings and not just because I was preparing for the SAT and Subject Tests. I really feel like I learned a lot in the process and will even miss those Thursday afternoon lessons! I'll let you know as soon as my scores arrive. DOUBLE800 was the perfect fit for Taylor! His SAT scores improved 80 points in math and 130 in verbal. Your services were instrumental in my son’s future and I would like to enroll my sophomore daughter in group sessions for next fall. I will be in touch in August. I wasn’t looking forward to SAT prep at all in the beginning. But the sessions were interesting, educational, and I learned so many vocab words. I’m really glad I only had to take the test one time and now I’m done forever. I have received early acceptance from Mount Holyoke and will decide after hearing from Wellesley. Thanks again! I had two months time to prepare for the GRE to apply to doctoral programs in psychology. I hired Double 800 to work a miracle...they did! My quantative score went from an embarassing 350 to a 600 and my verbal 440 to 590. These increased scores were due to the 1:1 tutoring designed to fit my individual needs, not the needs of a group. We were able to take extra time on sections I struggled with to ensure I was successful. Double 800 was undoubtedly worth the investment! Thank you!!! Thanks to the expert service of DOUBLE800, my GRE scores improved 230 points and sealed my acceptance into the Educational Psych PhD program. For anyone considering GRE prep, DOUBLE800 is by far the best choice available. Not only are the lessons much better than the larger companies (which I took in the past), but the cost is half. What a deal!